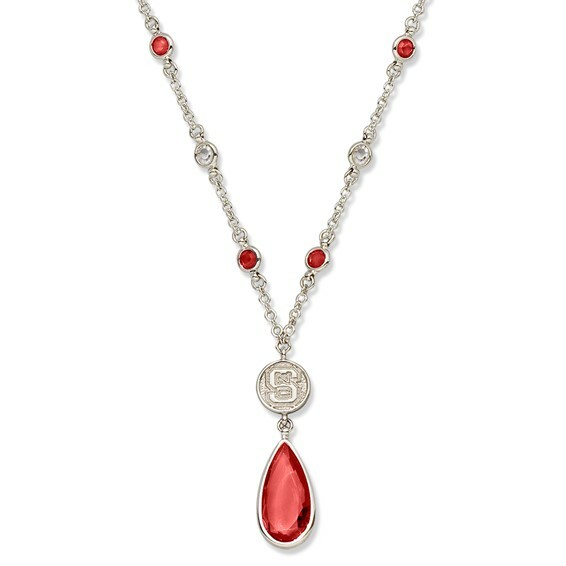 Show your team loyalty by wearing this North Carolina State crystal team logo necklace. This necklace contains team colored crystals. This official product is fully licensed and made using intricate metal molds and injected patterns for amazing detail. The length of the necklace is adjustable from 16 to 19 inches.